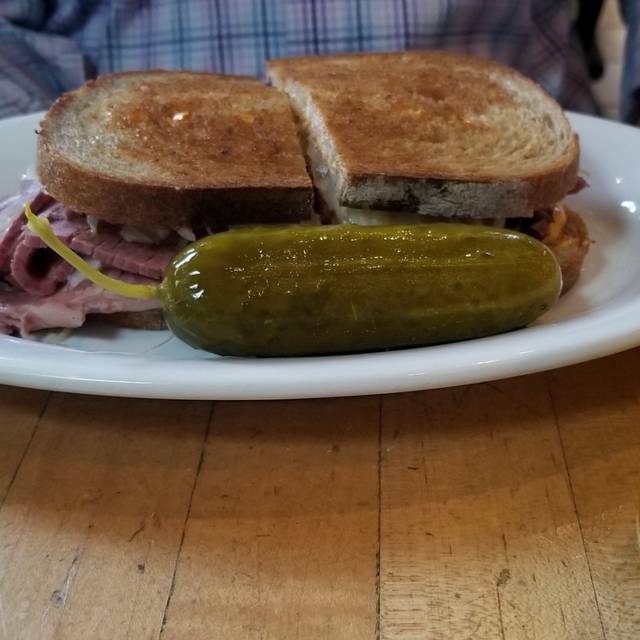 The General Muir is a modern Jewish deli serving classics such as pastrami and reubens, along with an award winning burger amoung the diverse menu. Winner of several awards, this modern deli offers a tasty selection of bagels, sandwiches, salads and other deli classics along with a Chef driven dinner menu. Chef Todd Ginsberg (formerly of Bocado) improves on traditional recipes, using freshly baked bread and creative toppings for mouthwatering results. Stop by The General Muir after work and wind down your day with hand crafted cocktails and simple yet refined dinner menu. A favorite with many of the residents, this deli serves guests in simple but comfortable settings. The General Muir is open for breakfast, lunch and dinner all week, with a special brunch menu served over the weekends. Always good food, always good service. Sunday nights are the best--Spaghetti and meat balls and their stack burgers are excellent. Best burger in the city. Truly. Give it a try. You won’t be sorry. Great place to grab something to eat. The menu has a good variety of items. Perfect brunch spot! There was a party going on on the patio, and it spilled over into the dining room so it got louder than it could have been. Also, all of the hard surfaces inside magnify the sound. The food was good. I was surprised that for an entree that cost $22, I wasn’t offered bread. The coffee was excellent. The service was good. This nice looking restaurant could be a big hit if they polish their game a little. The noise level is annoying which is the current trend. The decor is very smart and appealing but too many hard surfaces forces a loud conversation. I asked them to turn it down, they did but barely. Menu choices are very limited. It's worth a try if you're in the neighborhood but they need to do some work here. We waited a while to be serviced. However, the server apologized and gave us free goodies. Overall, I will go back again! I asked questions about chopped liver on pastrami but did not order it.. our order was wrong. and it took 10 minutes to get someone’s attention. Once we did it was resolved immediately. The burger was great but overpriced. I personally prefer the pastrami sliced more thinly as the slabs keep falling out of the sandwich. 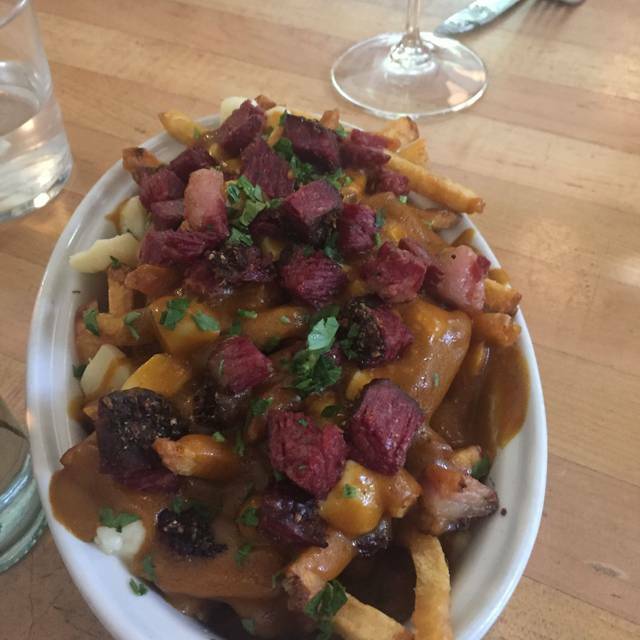 Poutine very good. All in all overpriced for a place where I have to yell in my dates ear in order to have a conversation. Not that enjoyable. For $67.00 I could think of much more enjoyable settings to have a meal. Food and service were excellent. The roasted broccoli and garlic hummus appetizers superb. The chicken and trout mains wonderful. Josh was our server. He was attentive, patient, and skilled. The ambiance and warm, friendly service are always great at this place. I heard so much about the burgers and fried chicken and I was looking forward to trying them for myself. I just wasn’t impressed. Great flavors in pasta dishes...but it’s so hard to hear in the restaurant and food seemed excessively salty. Delish cocktails! Excellent quality of food and the service was excellent. Hadn't been there recently because I moved. The menu has changed and they are focusing on the menu items they do best. 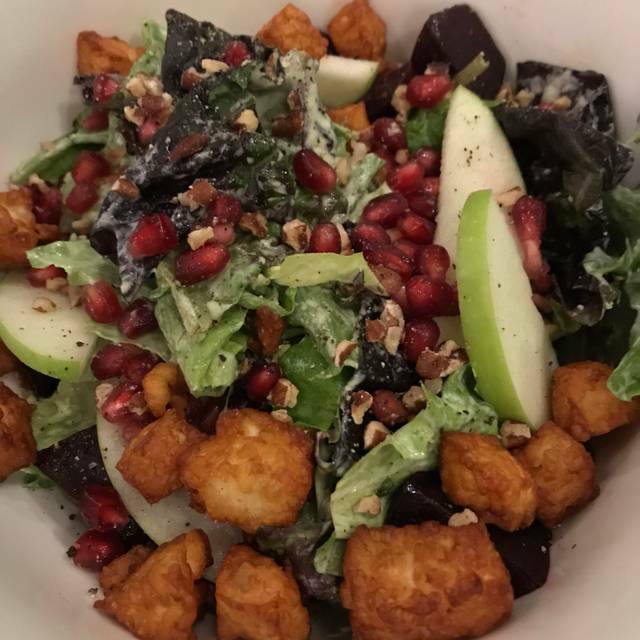 I highly recommend you try General Muir again if you haven't been there for a while. Delicious and great environment. I always love coming here- staff is great, food is amazingly consistent, feels upscale but casual at the same time. It was perfect, as always. I don’t know what our community would do without The General Muir at Emory. Great place for traditional Jewish deli. 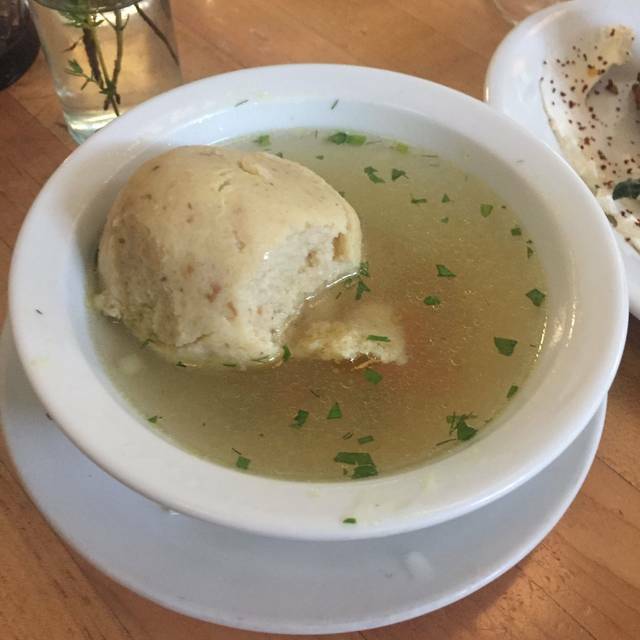 Great matzah ball soup. Love the fish. Surprised that Sunday is limited to a Sunday spaghetti supper. 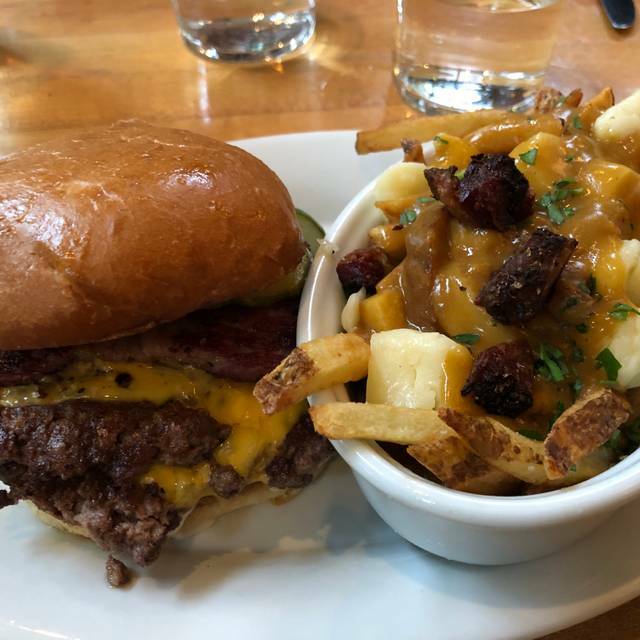 The General Muir was outstanding! We enjoyed the fried chicken, flank steak, and the unparalleled hamburger. The only thing better than the burger was the cheese cake, which is a definite 'must'! First time for dinner. The roasted chicken dish was the best I’ve ever had! Not great. More of deli experience than a fine dining experience. Food was good. Pastrami lacked flavor and was overwhelmed by the chopped liver, which was very good. We love The General Muir. We often go on Sunday evening for their Sunday Night Spaghetti, but we also like their brunch, lunch, and dinner menus. Favorites include the Burger, Pommes Frites, Deviled Eggs, Club Sandwich, and Brooklyn Blackout Cake. Best burger in Atlanta - Best Pastrami in Atlanta - Consistently Great ! 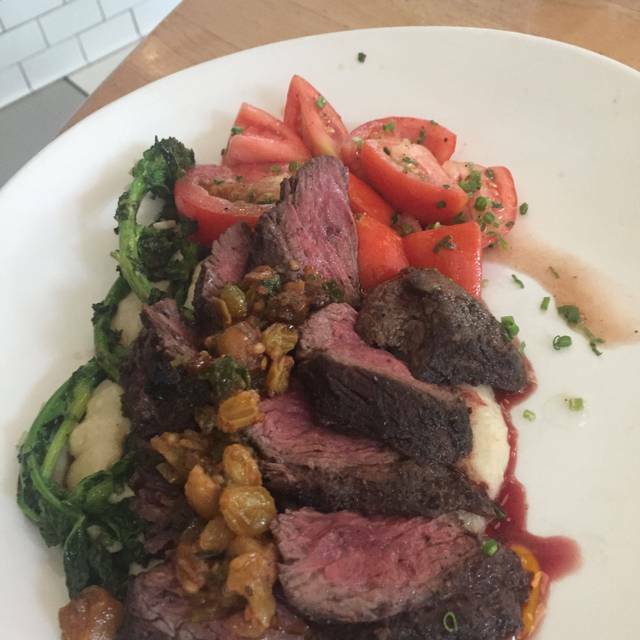 I was served an excellent dish and initially the service was very good. But at the end of our meal the waitress disappeared and we had to get somebody else to handle our check. Two words: loved it! We went for Valentine’s day. Fixed menu but extraordinary cuisine. 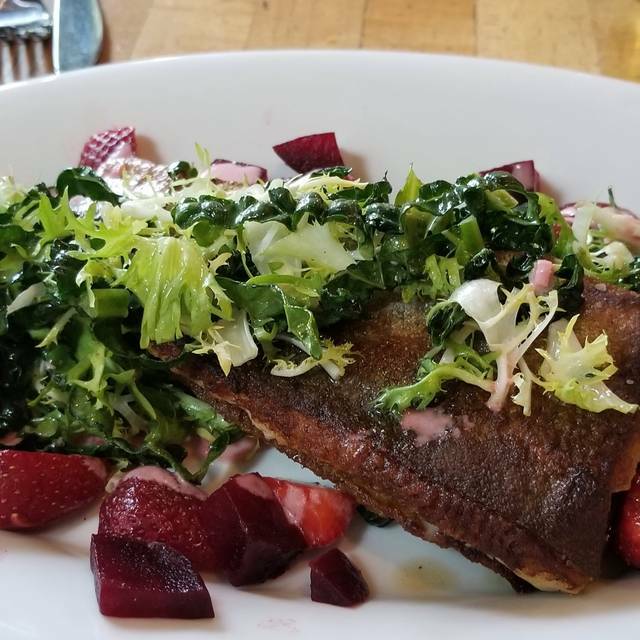 We had a great dining experience at The General Muir. Our server was extremely nice and made sure our food was served quickly and was to our liking. The food was excellent. We look forward to our next visit. Always really amazingly good food in an upscale deli kind of way that you wouldn’t expect to find in the south. This last trip I did bring vegetarian friends in the menu was a little spartan for them. I personally love the Reuben and always make sure you have time for one of their seasonal desserts in a cup of coffee . * also a great place to go for lunch if you’re by yourself and grab a seat at the bar. Loved the food. Had great experience in the past, but the service was horrible tonight. It took a long time to get our drinks which we saw sit on the counter for at least 15 minutes. Then we ordered wine as soon as our food came, but the wine didn’t come until our waitress was bringing the check. Hopefully this was just a bad night to go because we loved our brunch experience prior to this. We had a fabulous time with great cocktails, nice selection of beer and amazing fried chicken. The crunch on the fried chicken was wonderful, and it was surprisingly moist. We also got an order of corned beef that was very tender and flavorful. The server was very attentive. We had a great dinner, great service and weirdly enough saw an episode of Diners Drive ins and Dives featuring General Muir later that night. Made the experience that much cooler. This charming place is one of our favorites for a nice but moderately priced restaurant. Easy reservations, nice bar with busy bartenders. One of the best burgers. Trout was very well prepared. Kid options. Great bakery for deserts if you still have room. We have been there before--primarily for the outstanding housemade pastrami--but this time came for the New Year's Even prix fixe dinner. The spaghetti & ricotta meatballs were tasty, but nothing special. 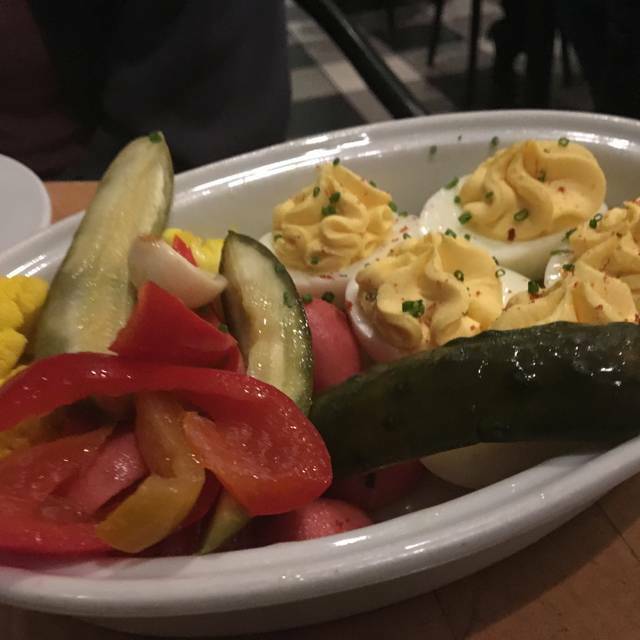 The housemade pickles made more of an impression. Same for the sald, just OK. But the sdessert Tiramisu was OUTSTANDING! Amazing Matzoh Ball Soup and delicious burger stack, and of course the fried chicken. Always enjoy dinner here. Also a great place to grab a sandwich during the day, or a bagel and schmear on the weekend. The best corned beef and pastrami in the city- combine them in the large sandwich is the way to go. Great matzoh ball soup. The Mushroom appetizer is fantastic! Very small menu but excellent food. Great food and service. This place is amazing. Food is consistently excellent. Our server was amazingly helpful! Enjoyed the General Muir completely. Great Food. 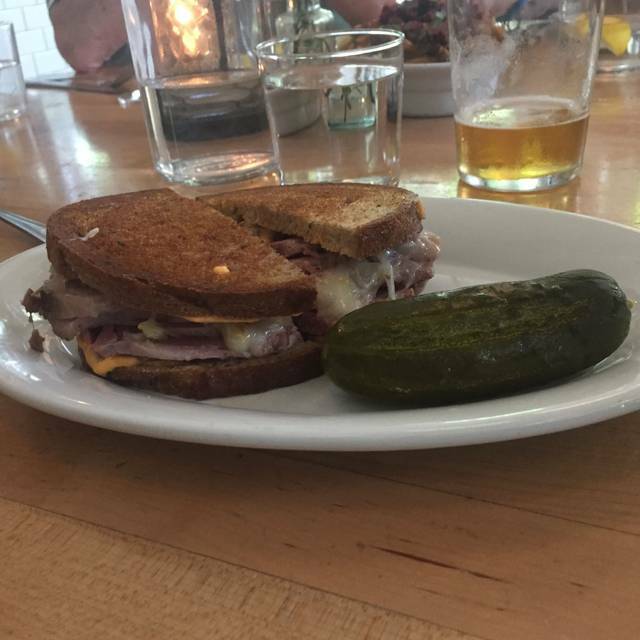 The best Reuben I've every had hands down! The Matzo Ball Soup is amazing as well as the holiday Latke plates we had. Our server was extremely friendly and even got us special donuts that had been prepared for Hanukkah. Highly, highly recommended.